You can now have online access to our appointments via SystmOnline. By using this system you will be able to book a routine appointment with a doctor up to one week in advance (no on the day appointments will be available). Click on the link at the top of this page to access the online system. If you need to cancel your appointment on a Saturday please phone 07939 655619. Telephone 01277 658071 and ask to be put through to reception. The receptionist will ask you whether the appointment is urgent or routine and may also try to help you to decide this. No matter which doctor you are registered with, in this practice, you are entitled to see any doctor. We ask that you try to stay with the same doctor for the same problem as much as possible, but we understand that this can be difficult due to doctors working part time, going on leave etc. 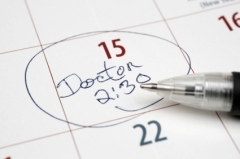 Routine appointments may be booked in advance and you can choose which doctor you wish to see, subject to availability. Morning surgery starts at 08:30 and afternoon surgery at 16:00. Urgent appointments can be booked for the same day, but you will not be able to choose which doctor you see; the appointment will usually be with whichever doctor is on duty for emergencies on that day. Ask us to have a quick look at another family member; please ask for two consecutive appointments if this is required. The surgery runs an extended hour’s surgery on a Saturday morning from 8.15am to 11.30am. These appointments are all bookable in advance. There are no on the day appointments available. If you need to cancel the Saturday appointment then please phone the surgery number 01277 658071, Monday to Friday or on a Saturday morning on 07939 655619 as the main number will go through to the out of hours service. The Partners have recently reviewed the position on patients who arrive late for their appointment and have implemented the following procedure. Any patient who arrives late for their appointment may at the discretion of the clinician be asked to wait until a break becomes available in their clinic before the patient is seen. Any patient who arrives after the clinic has finished will be asked to make another appointment. Patients who regularly turn up late will, at the partners' discretion, be written to and where necessary appropriate action taken. We occasionally have medical students from London University attached to the practice. They are all about to qualify as doctors and an learning about general practice. We hope you will wish to help them, but if you do not wish the student to be present during your consultation with the doctor, please let us know. The receptionist will inform you if a student is present. Please do not ask for a home visit unless the patient is genuinely too ill or infirm to come to the surgery. Remember that the doctor has better facilities for examination and treatment in the surgery; also for every home visit by the doctor at least four patients could have been seen at the surgery. If the patient has a temperature or a rash, coming in to the surgery will do no harm and will not endanger others but please inform the receptionist on arrival. When a home visit is necessary please telephone before 10:00 and be prepared to be asked some details to enable us to assess priorities. The doctor may contact you before visiting and decide whether to visit or if they can offer an alternative solution as home visits will only be done by the doctors if they feel it is medically appropriate to do so. Home visits will normally be made after morning surgery and before afternoon surgery. We regret that transport difficulties are not a reason for a home visit. If you are absent from work for three days or more because of illness, you need to complete form SC2 (or SCl if you are self-employed). These are available at reception. 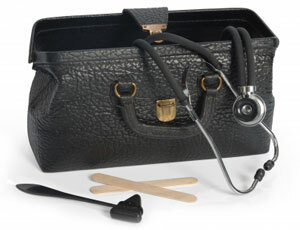 For absences of seven days or more, you need a sick note from the doctor. These can only be issued if the doctor has seen you on the same day or the previous day, or if you were recently seen by a hospital doctor who has written to your GP. Occasionally, a special note can be issued if you are unable to work because of chronic illness and have been seen recently by a doctor. Notes which are issued for reasons other than this fall outside the NHS contract and may be charged for.